Materials: Pine Solids, Pine veneer, Metal wheel, Metal, Rustic Metal Hardware Color. All items are built MDF with Pine veneer and metal. Square end table features top drawer and lower fixed shelf. 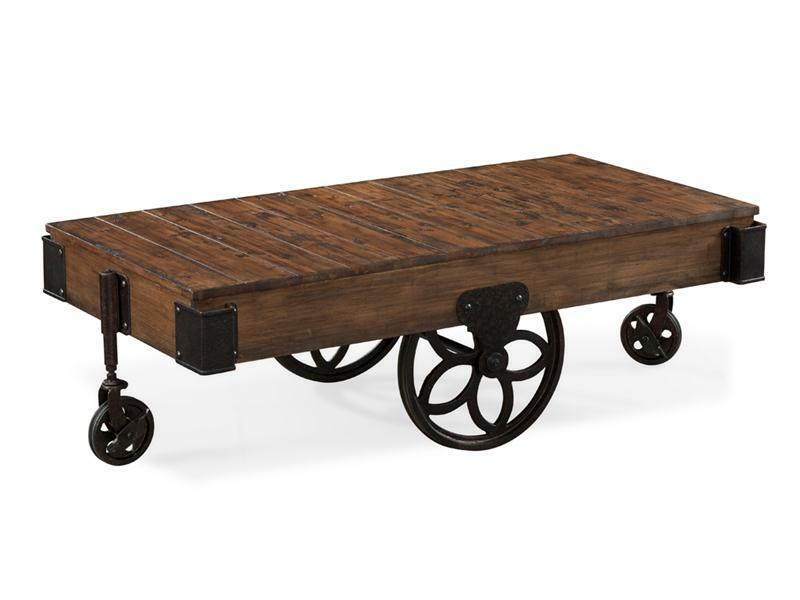 Rectangular cocktail table features 2 small wheels at front and rear; 2 big wheels at sides. Rectangular sofa table features 2 top drawers and lower fixed shelf.